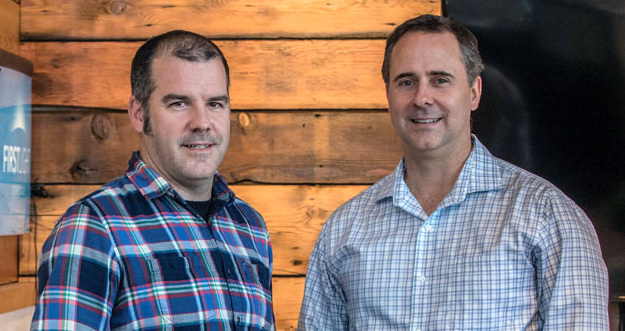 Sean Bourquin and Justin Taverna were colleagues at a leading commercial solar power and LED signal lighting company back when the industry was cutting its teeth and trying to gain acceptance. The company’s mission – to prove the mettle of solar and LED technology – was inspiring. But for Justin and Sean, the desire to grow, do more and test their own ideas, became a source of increasing opportunity. The two believed in the potential of solar lighting. Their customers were telling them they wanted inexpensive, reliable solar lights for a broad spectrum of outdoor lighting applications. The company had already defined what LED and solar technology could do in possibly the most environmentally challenging sector on earth – marine navigation. Why couldn’t they do the same for street, parking lot and pedestrian lighting? Eventually, the desire to do more led to change. Sean and Justin started First Light as a consultancy. They did solar power system design work for Homeland Security, LED market research for a Green Tech investor, LED lighting design for the Colombian Air Force, market and product research for an Italian lighting company, and a host of work that took them across the globe. They designed more than 400 solar power systems in more than 20 countries in under two years. Justin and Sean didn’t have a nest egg, or seed money to fall back on – they had mortgages to pay and families to support. Serendipitously, the drive to win accounts became a catalyst for developing essential business skills, forming and deepening relationships, and testing ideas for future products. Their first design was an illuminated LED bollard with a solar module integrated seamlessly into the design. Bollards, although common enough, weren’t the ‘big money’ item in outdoor lighting – but there simply was no other bollard that worked like a First Light. Or, for that matter, could take the punishment. Early demonstrations would always include an invitation for the client to try to break a bollard with a baseball bat. What bollards did represent was a proving ground for efficient and robust design. In this, they were akin to marine lighting – Justin and Sean’s area of expertise. Bollards provided a naturally challenging application, given they only had a small area for a solar module, making the ability to manage energy critical. 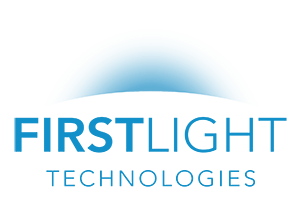 The challenge of making a great performing bollard led to the creation of First Light’s self-learning controllers, which adaptively and predictively managed lighting performance. The result? Optimized light output and maximized reliability. Today, Sean and Justin have moved First Light into pathway, parking lot and street lighting, while staying true to their vision of offering the most reliable, durable, self-contained solar lighting on the market.